What are the connections between story and Christ-centered spiritual formation? How do narratives in the Bible, narratives in culture (including novels and TV shows), and the stories we tell about our own lives intersect with our spirituality? How can we intentionally use stories to help us in our spiritual growth? Grow healthier relationships with others, yourself, and God by engaging in storytelling (oral and written). Grow in self-awareness as you reflect on your own life stories. Gain fresh insights into familiar stories in the Bible. Reflect on how cultural narratives shape expectations and worldview. Give members of your online small group the gift of being heard, known, and seen for who they are. Receive from the members of your online small group the gift of being heard, known, and seen for who you are. This intro-level course is open to anyone* ages 16 and up! * Note: To create a safe space for people to share about their own life experiences, participants will be required to sign a Story Sharing and Listening Covenant, which will require participants to listen with respect and without judgment, and to keep other people's stories confidential. The instructor reserves the right to remove from the class anyone she has reason to believe is breaking the covenant. 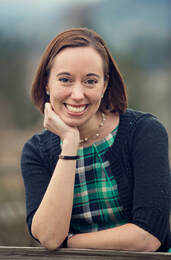 Sierra Neiman Westbrook is an adjunct professor in the College of Christian Studies at George Fox University in Newberg, Oregon, with 6 years of teaching experience. A graduate of George Fox Evangelical Seminary (now known as Portland Seminary), Sierra holds a Master of Divinity degree and a certificate in Spiritual Formation & Discipleship.  She is also certified through Portland Seminary as a spiritual director. Sierra brings to her work a curiosity about how theology of lament, narrative pastoral care, and explorations in imago Dei theology can enrich a person’s relationship with God. She also enjoys hiking, watching ballet performances, baking, writing, drinking lots of tea, and trying new restaurants with her husband, Justin.